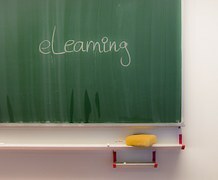 Before you get the idea that this will be a blanket endorsement of eLearning as the best option for training or educating people—read on. Most of the time it’s not an either/or situation. 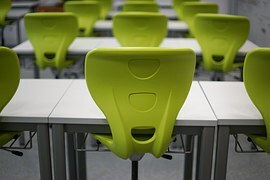 Often times, classroom instruction is better for specific subjects, and if the training requires in-person interactions, such as with sales skills, it is more effective to use a classroom setting. Still, there are situations and subjects where eLearning is far more advantageous. Here’s a scenario to consider: Human Resources issues new guidelines for ethics training, which impacts the current classroom course. Ethics training is now mandatory for all 1,500 employees in the first quarter of every year. There are 900 employees in the home office and 600 in locations around North America. What’s the best solution? Classroom training? Probably not. In this case, eLearning is likely to be the best answer. Fortunately, there are some key advantages of eLearning over classroom training for this type of situation. eLearning can be very cost effective. The expenses of trainers, materials, lodging, and travel are eliminated with eLearning. The costs to maintain classrooms and equipment are much less when there is a shift to eLearning. Because of the fixed production costs of eLearning, eLearning has a great return on investment (ROI). The ROI increases when each learner logs on and completes the eLearning course. An eLearning course eliminates the problem of instructors teaching material slightly different. Learners can be assured that the content is communicated in the same way to every participant. The learner sets his or her own pace rather than that of the classroom. The number of available trainers and classrooms limits classroom-based instruction to specific times and places. With eLearning, the learner can come and go when it is convenient, since it is usually available 24/7. This single advantage has positively impacted the world of higher education by making many undergraduate and graduate programs available to adults who need flexibility in their schedules or do no live near institutions of h igher learning. There was a time when creating eLearning required programmers, instructional designers, graphic designers, and animators. Because of eLearning software such as Adobe Captivate or Articulate Storyline, this is no longer true. Now eLearning can be developed by one person in days or even hours rather than in weeks or months by a team. With the most recent software versions, eLearning can also be easily published for tablet use or mobile learning. Lost time on-the-job is greatly reduced. Without the need for travel and classroom time away from workstations, employees are more productive at what they are paid to do. 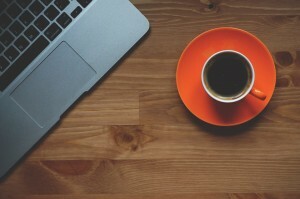 eLearning can also be scheduled during down times in order to have less impact during the normal workday. Updates or versioning of eLearning are relatively easy and cheaper than updating printed materials or retraining instructors. Since eLearning is usually launched from a learning management system (LMS), training directors and others can monitor learning activity. It is easy to track each individual’s progress. By using LMS analytics, it is quick and easy to identify content areas that need additional emphasis. This is another important advantage that is often not considered when choosing eLearning. With the reduction of travel costs and absence of paper, there is a smaller carbon footprint. As eLearning development becomes easier and more cost effective, there will be a greater shift to more eLearning whenever appropriate. No, eLearning isn’t the answer to all learning, but when it is the answer, there are advantages.